"Transportation" infrastructure applies to physical goods as much as to non-physical goods. Infrastructure that assists in "transporting commodities through space" is what is most needed in India today. To boost growth and create a global economy to match the best, it needs "highways" that assist in efficiently transporting not just physical goods but also energy, data and power. The rise in fuel prices and the policy objective of gradually moving away from coal-based energy sources creates the need for "highways for natural gas" -- pipelines. Data available with the Ministry of Power (as of April 30, 2018, obtained from the Central Electricity Authority) suggests that coal still meets 57.3 per cent of energy needs in India. The contribution of gas is currently pegged at only 7.2 per cent. India intends to push up the contribution of natural gas in the energy mix to 20 per cent by 2025, according to the "Vision 2030" Natural Gas Infrastructure in India report. The country's commitment to promoting natural gas and the urgent need to meet the energy mix target implies that significant infrastructure investments are needed in pipelines to enable the movement of gas from the source of import and production to the end consumer. These "highways of natural gas transportation" are the infrastructure required to gradually transform the country into a low-carbon economy. "Highways for power" will be essential because of gradually rising incomes and the consequent increase in energy consumption, as well as more points of consumption. High-quality power transmission infrastructure can help create a sustainable power ecosystem, where the points of consumption can be better linked to the points of production. It will also help boost productivity and business. The ability of India to create linkages between competitive renewable energy tariffs, efficient power transmission and eventually assisting energy reliant industries to gradually switch to cleaner and relatively inexpensive energy can help boost business by lowering input costs through providing access to low-cost energy. Production of low-cost energy is essential, but so is the effective "transportation" of such energy to the user, especially in an industry where storage infrastructure is still relatively new. 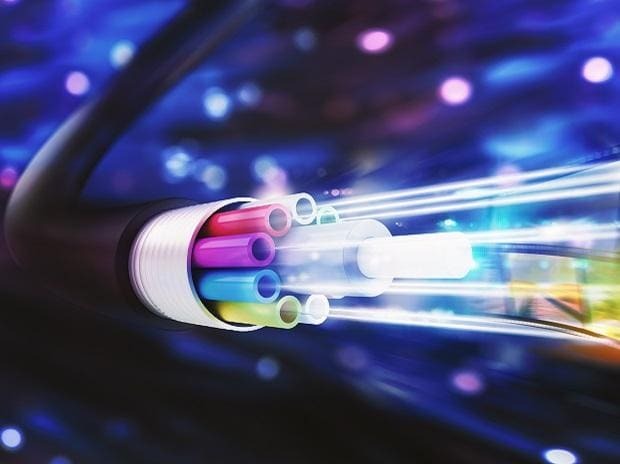 With data consumption across the economy increasing at a rapid pace, the need for more fixed-line fibre infrastructure is an obvious outcome. To accommodate higher speeds and higher use of data, these "highways of data" will have to be built. Fibre infrastructure will help the adoption of 5G, faster consumption of data and growth of data-driven business models across sectors. "Fiberisation" will require both policy clarity around "Right of Way" issues and financing strategies that can deliver viable business models. As with highways that transport physical goods, highways for energy, power and data also require not just quantity, but also quality. For example, power transmission infrastructure in India has been plagued historically by a high level of transmission and distribution losses (estimated at 21.5 per cent in 2015-16, according to government data). However, as we create the new "highways of the 21st century", paying attention to the quality of infrastructure will significantly benefit India in the long run. Natural gas pipeline, power transmission assets and data fibre infrastructure are long-dated investments. The ability to create high-quality infrastructure, even if it were to cost marginally higher at the outset, delivers significant value over the life of the asset. Business models that help finance new "transportation" infrastructure most cost-effectively will be significant. The Toll-operate-transfer (TOT) model that the National Highways Authority of India (NHAI) utilised for monetising existing highways is one of the potential ways of generating financing for the different "highways" required in the different sectors. That said, a TOT mechanism alone cannot finance the vast infrastructure needs that the transportation of mission-critical data, energy and power requires. New business models and investors are required. For example, while constrained telecom sector balance sheets might mean there are challenges to fibre infrastructure implementation in India, clarity around policy might create business opportunities for fibre infrastructure investors and operators. Policies that enable financially sustainable business models while balancing consumer needs will be the driver for 21st-century "highway" infrastructure in India.